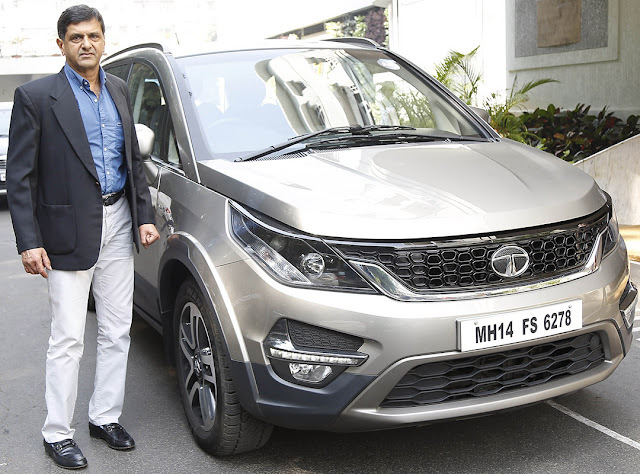 Well, as we said in our previous article about the all new Tata Hexa, Tata Motors is going all out to promote the car. Probably this is one of their biggest promotion undertaking, if not "the" biggest promotion undertaking, which goes to show the kind of responsibility the big chunky rubber of the car is carrying. After the huge success of the #Hextraordinary event, now, Tata Hexa is the official partner of the Tata Open India International Challenge for 2016. New Delhi, November 30, 2016: Tata Hexa associates with Tata Open India International Challenge 2016. The Tata HEXA is powered by an advanced next-gen 2.2L VARICOR 400 diesel engine, delivering a class leading 400 Nm torque and 156 PS power. The Tata HEXA’s manual transmission variant, boasts first-in-segment ‘SUPER DRIVE MODES’ allowing the driver to seamlessly switch between the four different driving modes – Auto, Comfort, Dynamic and Rough Road, for enhanced ride comfort & stability over different terrains. The system is easy to use, with the advanced technology continuously monitoring the vehicle across different terrains. It provides instant feedback and timely alerts to the driver, with enhanced traction, better vehicle composure and handling, thus enabling smooth, effortless and seamless driving. conditions – from heavy traffic to wide open roads. The All-Wheel Drive (AWD) system is electronically controlled via an adaptive system by Borg Warner™, with torque on demand feature.